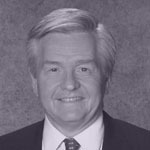 Dan Rea, a veteran Boston television journalist is the Host of NightSide on WBZ News Radio 1030 every weeknight from 8:00pm to midnight. NightSide focuses on a wide variety of issues, political, economic and social. Rea believes that talk radio is the best way for people to communicate their opinions and ideas on what he calls “North America’s Virtual Back Porch”. Rea encourages challenging conversations and diverse ideas combined with respect and tolerance for the opinion of others. But don’t think for a moment that NightSide is anything but provocative, always interesting and at times, passionate and emotional. Gururaj “Desh” Deshpande is a Trustee of Deshpande Foundation along with his wife Jaishree. Desh is the President and Chairman of Sparta Group LLC, a family investment office and is also the Chairman of Tejas Networks. 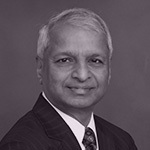 Dr. Deshpande has pursued an entrepreneurial career for the last three decades. 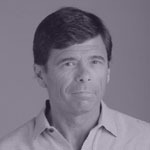 He is involved either as the founder, a founding investor or chairman of several companies including Cascade Communications, Sycamore Networks, Coral Networks, Tejas Networks, Cimaron, Webdialogs, Airvana, Sandstone Capital, A123 Systems and Curata. The Deshpande Foundation strengthens ecosystems that create significant social and economic impact through entrepreneurship and innovation. Leveraging the experience gained at the MIT Center, the Deshpande Foundation has facilitated the setup of five other centers.